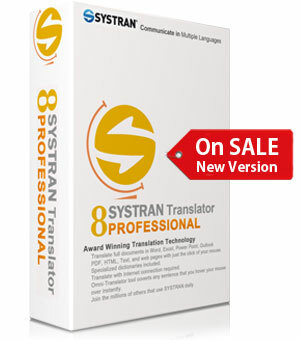 SYSTRAN Professional Translator is a more professional package and can deliver higher accuracy automatically due to additional dictionaries and powerful features. 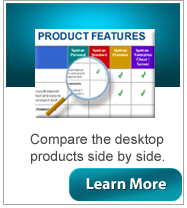 The Professional version is packed with professional tools that are unparalleled in industry. 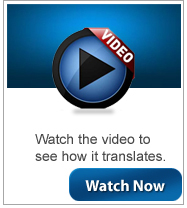 These translation tools allow you to train the software both manually and automatically to achieve higher accuracy. English to/from: Spanish, French, German, Greek, Italian, Portuguese, Swedish, Polish, Dutch, Russian, Japanese, Korean, Chinese, Arabic, Albanian, Bulgarian, Czech, Farsi, Ukrainian, Urdu and more! 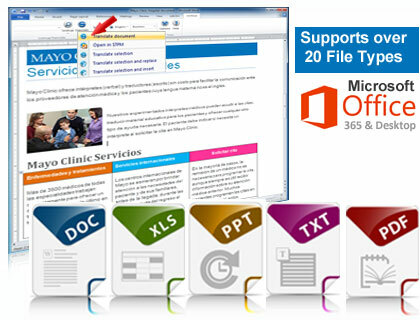 Instantly convert full documents in Word, Excel, Powerpoint, Outlook, and PDF with translation software. Best of all, it's designed to retain your original formatting. Systran automatically integrates into Microsoft Office making it easy to translate documents without having to learn new software. 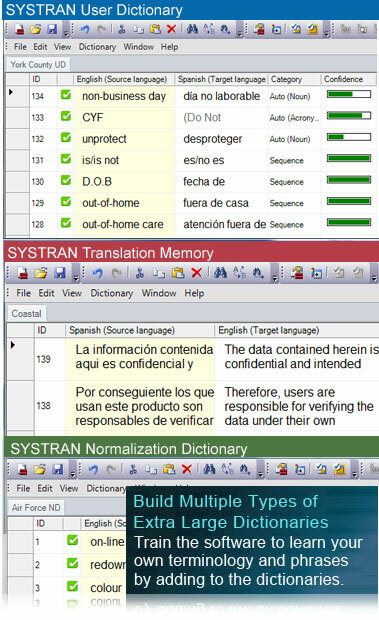 SYSTRAN's translator is designed to keep the document's formatting after it has been translated. The software creates a brand new document in the new language so it does not overwrite your original. Some restrictions can apply but the results are incredible. 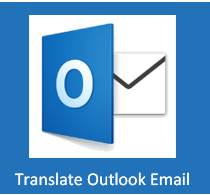 Translate Word, Excel, Powerpoint, Outlook and Email. 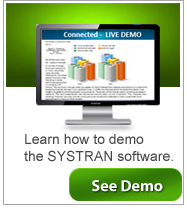 SYSTRAN integrates into Microsoft Outlook and can securely translate your incoming and outgoing email. 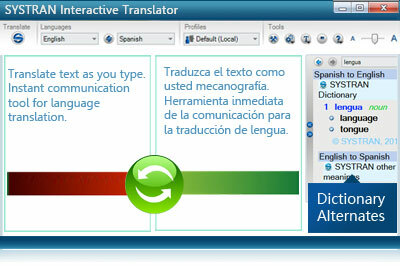 The software retains the message in the original language and provides the translation in the same message thread. This allows everyone to see the original and the translation. Translate the full message or only a section, you have full control. PDF files are the most popular format used in the business world today. 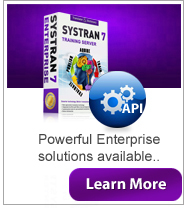 With Systran you can translate your PDF files and retain the formatting on many of your documents. 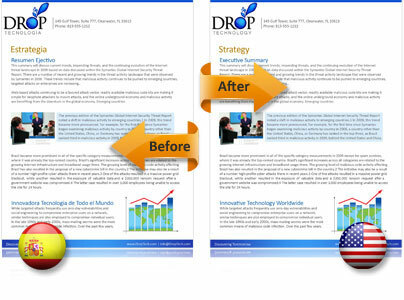 Files will be converted to RTF (Rich Text Format) for easy viewing in Microsoft Word, then easily convert back to PDF..
PDF languge converter features includes localized dictionaries that not only process the text recognition but also compare the recognized text with localized indexes to guarantee the best results. New: Translate either editable or non-editable PDF files. No need to purchase an additional OCR software. 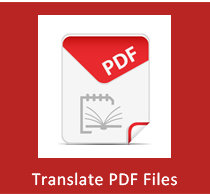 Learn more about translating PDF files. Perfect for understanding menus or any text you need to understand in another application. This handy tool allows you to translate in real time. Excellent for conversing with someone that speaks another language. Because you are using text, it can be more accurate than a speech translator. Quickly get direct access to the dictionaries for instant display of Alternative Meanings. Put your mouser over any word and on the right you will see the alternative translations for that word. SYSTRAN's Main translation dictionaries are packed with millions of words, phrases, and expressions as well as thousands of alternative meanings. 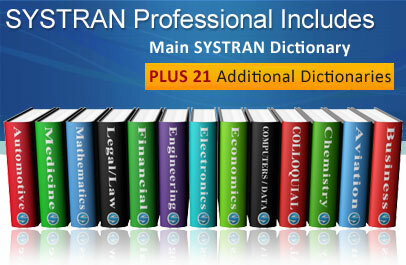 In addition to the main dictionaries, the Professional version includes 21 additional technical term dictionaries. Creating your own custom dictionaries with your own terms and phrases will instantly customize the software to understand your specific terminology. Even if you're not bilingual, you can often build a dictionary that will improve the accuracy. Translation memory is a powerful translation dictionary that stores full translated sentences that can be reused with 100% translation accuracy. 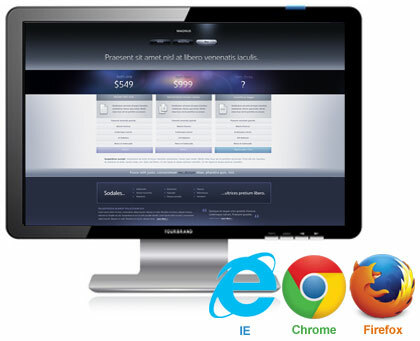 SYSTRAN plugs directly into your favorite browser so you can easily read foreign language websites. Just navigate to the site and click the translate button once, every page is then translated as you visit additional pages. 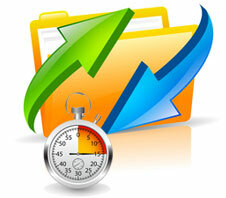 Work on multiple files at one time in your corpus (collection of up to 100 files at a time). Import, PDF, Excel, Word, Text, HTML, XML and in one click translate everything at once and easily export the translated documents. Translate wherever you are, whenever you need to. You do not need an internet connection, translate offline. 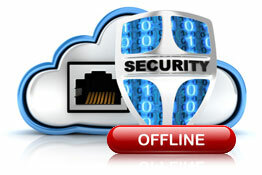 Increased security and mobility. 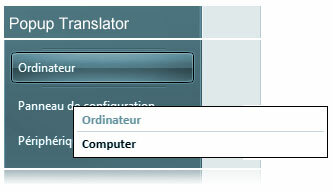 Once installed on your computer, the translation software is completely independent. Performance and speed will be enhanced if your computer's processor, memory and available disk space exceed minimum requirements.